We helped the world’s largest global technology trade show with a massive sustainability effort, making improvements across every aspect of the show to recycle and reuse more materials than ever before. 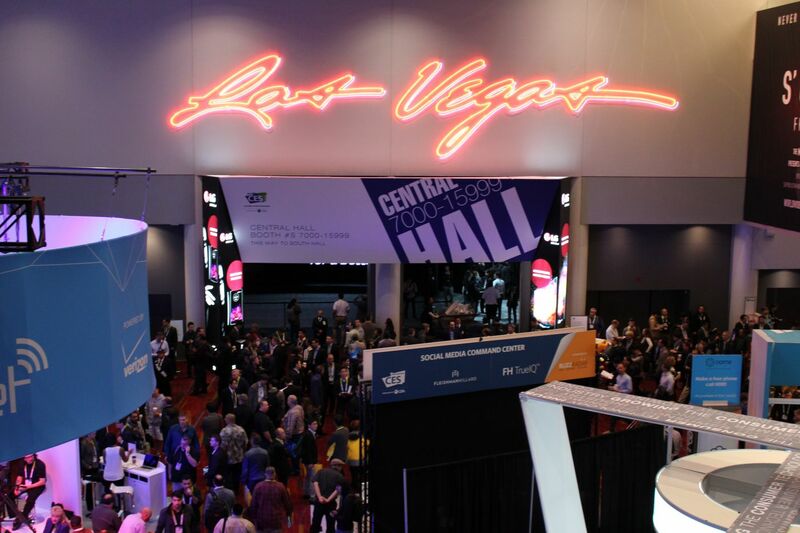 CES is the world’s gathering place for all who thrive on the business of consumer technology. It's the largest annual trade show in North America with more than 2.47 million net square feet of exhibit space featuring more than 3,800 exhibitors, 300 conference sessions, and attracting over 170,000 attendees. The Consumer Technology Association (CTA) has been an advocate in legislature, produced market research, and turned their attention to sustainability. As the event has continued to grow in both size and attendance, a large majority of post-show material was sent to the landfill with few attempts to properly divert recyclable or reusable items. In 2014, we joined CES as the general service contractor and partner to reduce the environmental impact of the show. Together, we targeted waste reduction as a shared goal. With waste diversion identified as a mutual goal, our combined team created a waste management plan including pre-event stakeholder meetings and a post-event donation program. During regular on-site visits and meetings two months before the event, we brought together representatives from key groups to present the show’s sustainability goals and discuss the move out plan. Before the show opened, the Las Vegas Convention Center, Sands Expo, Republic Services and Western Elite, Century Cleaning, and Exhibitor Appointed Contractors were in sync and on board. A follow-up meeting was also held on show site during the move-in. Planning allowed stakeholders to properly prepare for peak hours, when to pull dumpsters, and designated cleaning crews responsible for only picking up recycling. The donation program encourages exhibitors to contribute unused supplies such as tote bags, pens, and notepads. The team collected reusable building materials used to construct exhibitor booths and displays such as wood and metal. To give back to the community, CES partnered with Teacher Exchange, Goodwill, Habitat for Humanity, and Opportunity Village to repurpose and reuse the collected raw building materials, furniture, and more. Exhibitors were also given a guide to greening their booth including tips on environmentally friendly give away items, reusing their booth from year-to-year, and using recyclable substrates. This information was made available in the Exhibitor Kit and at the Freeman Service Desk. As part of the program, we also coordinated with local nonprofits to arrange load out and pickup of donated materials. Our team gathered data from the venues, Republic Services, Western Elite, and Freeman’s Environmental Performance Report. One month after the show closed, our team reviewed the information with CTA and identified areas for growth for the coming years. This post-show debrief adheres to the Freeman Learning Cycle by encouraging the team to constantly be improving the process and creating a more sustainable event. Freeman has been an outstanding partner in helping us reduce our waste footprint at CES over the past few years. We continue towards our goal to get greener and more sustainable each year together.